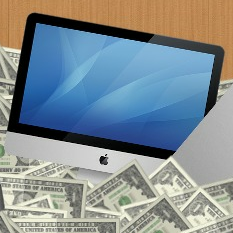 Is your PC compatible with Mac OS X? Read this first. 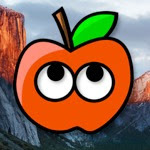 If you want to connect your Hackintosh to the internet via WiFi, you'll have to install a wireless adapter (also known as a WiFi card). However, finding the right wireless adapter for your Hackintosh can be tricky, since Mac OS X only supports an extremely limited number of wireless chipsets. Instead, to save you a lot of time, we've compiled a short list of the most Hackintosh-compatible wireless adapters on the market. All of these wireless adapters will work with Mac OS X Snow Leopard, Lion, and Mountain Lion out of the box (unless otherwise noted); they do not require any extra kexts or helper applications to function. Just install it, and forget it. Mac OS X should automatically recognize these adapters as Airport cards (which are the wireless adapters that real Macs use). All of the adapters on this list are PCI cards, so you'll have to install them on the motherboard of your Hackintosh. USB wireless adapters cannot be recognized as Airport cards. P.S. Since Mac OS X will think that these adapters are real Airport cards, AirDrop should work automatically, so you won't have to activate AirDrop with the normal workaround. The DWA-556 is a high-end wireless adapter with a stellar reputation in the Hackintoshing community for being easy to set up. It has the standard set of WiFi features, including support for 802.11n (the second fastest wireless standard, after 802.11ac) and WPA2 security. Like all of the other cards on this list, this adapter works out of the box, on Snow Leopard, Lion, Mountain Lion, and Mavericks. The DWA-556 has mostly been discontinued, and costs nearly twice as much as most mainstream wireless adapters. Since it's a relatively old model, it only supports a single wireless frequency band. Being able to work on multiple bands can make your computer connect to your router a tiny bit faster, as long as your router supports multiple frequency bands as well. Most people really won't care about this, but if you're a networking enthusiast, the DWA-556's single range might be too limiting for you. Still, if you're looking for a proven way to get WiFi on your Hackintosh, the DWA-556 is a safe bet. 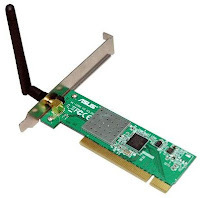 Back in its glory days, the ASUS WL-138g V2 was the choice wireless adapter for anybody in the Hackintosh community who wanted to have WiFi on Mac OS X Leopard. The WL-138G V2 has become less relevant since then, as users have found newer and faster adapters for their computers. 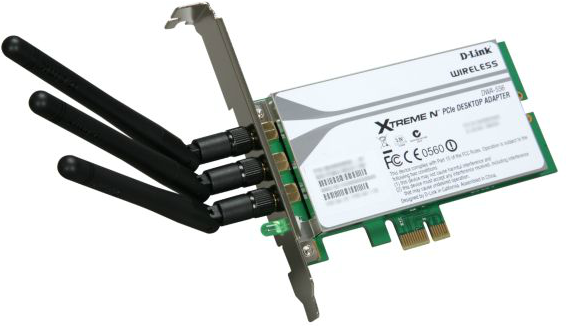 Nevertheless, this adapter is still a great choice for just about any Hackintosh. Even today, it works out of the box on all versions of OS X, including Snow Leopard, Lion, Mountain Lion, and Mavericks. Though it has been officially discontinued, you can easily find units of the WL-138g V2 on sale across the internet. Compared to its higher end counterparts, it's still one of the cheapest Hackintosh-compatible adapters on the market. Admittedly, the WL-138g V2 isn't winning any races in terms of speed: the data rate of the WL-138G V2 tops off at 54 Mbps, which is far lower than the maximum speeds of the newest adapters. In addition, it doesn't support the 802.11n network standard, and can only operate on a single frequency band. But that's besides the point: none of this really matters if you just want a cheap and easy way to get WiFi working on your Hackintosh. The WL-138g V2 can do that for you. The TL-WDN4800 is another high-end wireless adapter that works out of the box with Mac OS X. 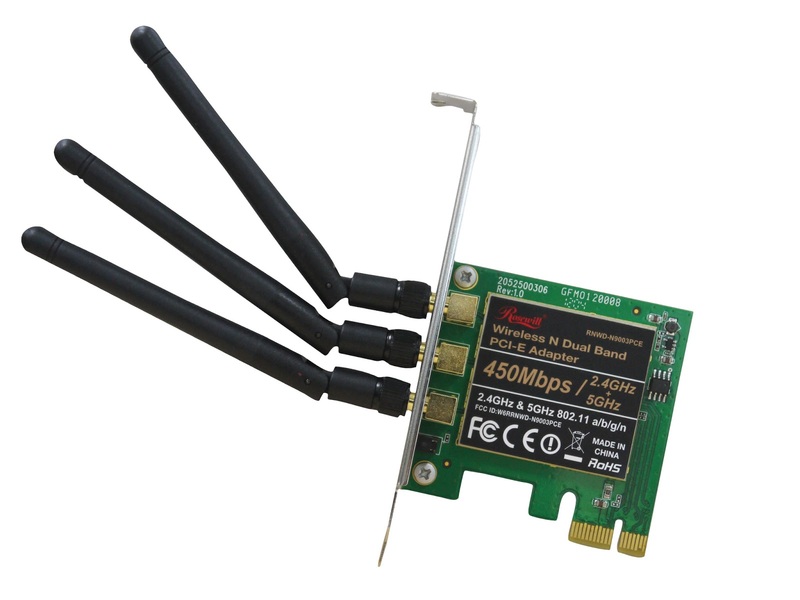 In the past two years, the TL-WDN4800 has essentially replaced the DWA-556 as the preferred wireless adapter in the Hackintosh community. It's even recommended by tonymacx86 himself. Mavericks, Mountain Lion, and Lion automatically detect this card as an Airport card; unfortunately, Snow Leopard doesn't work. 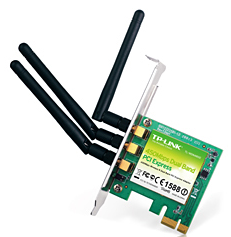 The TL-WDN4800 is pretty cheap as far as WiFi adapters go, usually priced in the $30-40 range. It supports the 802.11n standard and WPA2 security, and unlike the DWA-556, it works on three separate frequency bands. Like I said earlier, only networking enthusiasts will care about this, but it's important to keep in mind nevertheless. Overall, the TL-WDN4800 is a great choice for your Hackintosh. The Rosewill N900PCE is a relatively new addition to this list-- in the last year, it has gained a lot of attention due to the fact that it uses the same wireless chipset as the more well-known TP-LINK TL-WDN4800 (above). As a result, Mavericks, Mountain Lion, and Lion automatically detect the N900PCE as an Airport card (though Snow Leopard does not work). The best part about the N900PCE? It consistently underprices the TL-WDN4800 by $5-10. 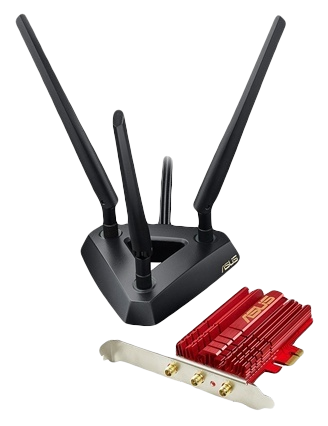 For that price, you get a great WiFi adapter that supports all of the frills: 802.11n, WPA2 security, three frequency bands, and so forth. While the N900PCE is not nearly as well-documented in the Hackintosh community as its better-known cousin, if you're willing to wander a bit off the beaten path, then it's an excellent (and remarkably cheap) choice for your Hackintosh. The ASUS PCE-AC68 is the newest addition to this list. It uses the same WiFi card as the newest Apple Macbooks, making it the first 802.11ac WiFi adapter to natively work on Hackintoshes. The PCE-AC68 is automatically supported in Mountain Lion version 10.8.5+ and Mavericks-- the 802.11ac standard doesn't work on any older versions of Mac OS X. In addition, Mac OS X only recognizes this adapter as a "Third-Party Wireless Card" rather than a native Airport card (this isn't really a big issue unless you need to use AirDrop-- in which case, you can simply apply this fix). If you want your Hackintosh to support the 802.11ac WiFi standard (the faster successor to the 802.11n standard), the PCE-AC68 is your best shot. However, it'll cost you-- at an average retail price of $100, you probably shouldn't be buying this adapter unless you really have a good reason to. You'll also have to buy an 802.11ac-compatible WiFi router. Plus, due to its high price, the PCE-AC68 (and the 802.11ac standard in general) isn't very well-documented in the Hackintosh community. With all that being said, however, the PCE-AC68 is still a good bet for anybody who wants the best and the fastest. And of course, if you're looking for a truly compatible wireless adapter for your Hackintosh, you can build your own. Building your own wireless adapter is a popular choice in the Hackintoshing community, because it's guaranteed that the adapter will be compatible with Mac OS X. It's not the simplest option, but it's not that hard, either. All you need is an Apple WiFi chip, an adapter, and a small amount of hackery. Apple uses standard Broadcom WiFi chips inside their Macs, so you can easily buy one of these chips from a spare-parts seller, or on eBay. Once you have the chip, all you have to do is fit it on a PCI adapter, so that you can attach the chip to your Hackintosh's motherboard. For the full details of the process, check out this guide. Mac OS X recognizes these self-built wireless adapters as real Airport cards-- because they are real Airport cards. These self-built adapters use real Apple WiFi chips, so technically, they're exactly the same as the Airport cards that real Macs use. Regarding performance, these WiFi chips support the 802.11n standard and WPA2 security, and they're dual-band, meaning they work on two frequency bands. When it comes down to it, self-built wireless adapters will always be the cheapest and most reliable way to get WiFi on your Hackintosh. As of March 18, 2014, there are only six choices on this list. While there are many other adapters that can enable WiFi on your Hackintosh, those adapters usually aren't natively supported by Mac OS X. Some of those adapters require special kexts, some of them require special helper apps, and some of them will only run on certain setups. The three wireless adapters on this list are the only models I could find that have been confirmed to work with Mac OS X "natively". 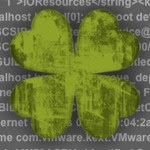 Take your pick-- and good luck Hackintoshing. Can I install OS X on my PC? Read this first. How to install OS X Yosemite on your PC with "Yosemite Zone"